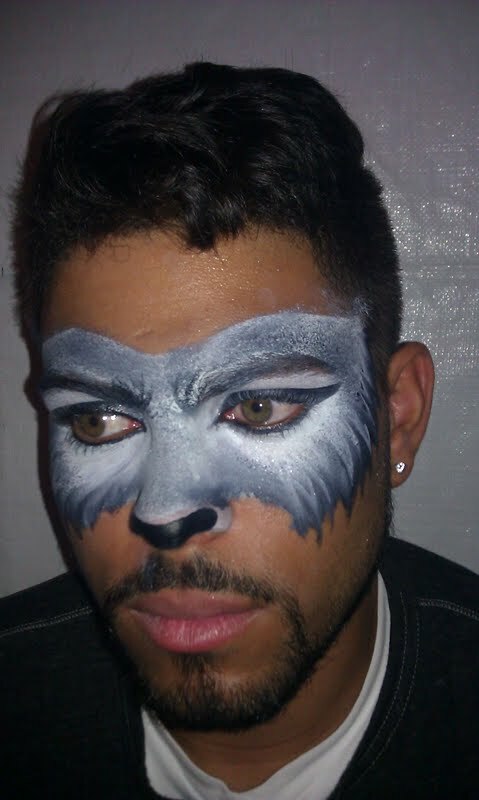 I had the pleasure and the honor to face paint at Kristinia DeBarge’s new music video for her new hit single, Cry Wolf. It was an amazing opportunity and Im so happy to have this new service added to my face painting portfolio! I was given this opportunity by an amazing friend named Julian Miranda, who actually happens to be Kristinia’s Music Manager and he is also the owner and DJ for an entertainment company called StandingOMusic. I am so grateful and I had to share my experience with you! I showed up to the music video shoot location at a beautiful house in Rancho Cucamonga around 7:30pm and was directed to the makeup tent where I was to set up. There were already backup dancers in the tent ready to perform and their makeup was already done by a very well known makeup artist named Spencer Barnes. Spencer was busy doing Kristinia DeBarge’s makeup and she looked stunning! I had a chance to meet Spencer and what a humble guy he was! Little did I know he has done makeup for tons of celebrities and is well known for his work on the show, House and specifically on the actress Olivia Wilde. I set up my paint in the tent and was instructed to grab the main artist and start working on his wolf inspired mask. I will admit, I was very nervous and all I could think about was that it was going to be in the video and had to be perfect!!! I had butterflies in my stomach the whole time hoping that everyone would like what I had come up with. Im lucky the main actor was such a great looking guy because I think he would have looked good no matter what I painted on his face. After painting the main actor for the music video, I had a little bit of time to watch the magic happen. Kristinia and her backup dancers had already started filming their choreography and her singing to the music for one scene and setting of the shoot. All of the backup dancers had black masquerade masks on and Kristinia was the only one not wearing one. It was perfect because although the choreography was amazing and it was hard to keep your eyes off of the dancers, she still stuck out as the beauty within all of it and her dancing really flowed with the rest of the dancers. I found out that the choreographer of the music video was very well known, named Jesse Lee Santos. He has choreographed a ton of well known celebrities from Justin Timberlake, Janet Jackson and even Brittany Spears! After watching the cameras capture Kristinia and her dancers going through the same dance in that one setting for about 10 times, I snapped back to reality and had to get to work painting the masquerade masks on some of the backups and extras that would be featured in the “party scene” of the Music video. I was still very nervous and wasn’t really sure how much time I had so I decided to make the first two masks simple yet glamourous. I painted one a metallic pink color and then glued pretty crystals to the outside of it. The girl I painted was very sweet and happened to be a good friend that grew up with Kristinia. I thought it as sweet that Kristinia wanted her friends to be in her video rather than just models that were hired to play the part. 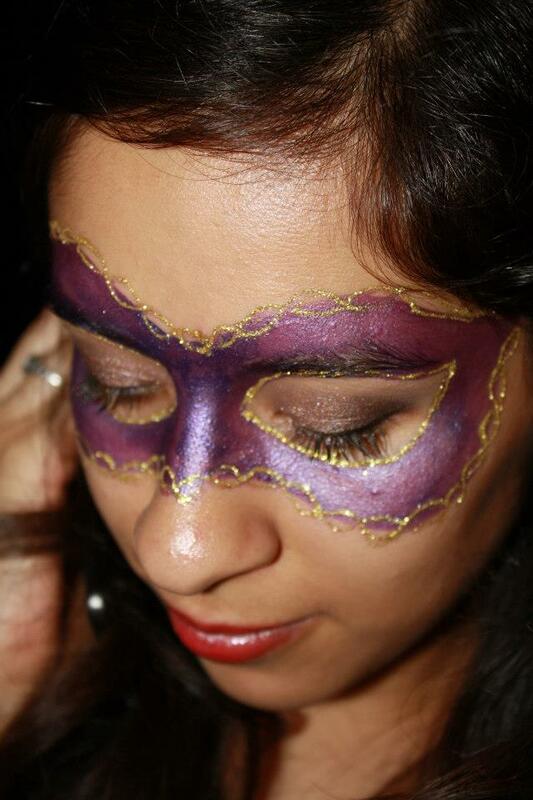 The second masquerade mask I painted was a simple metallic purple mask with gold embellishments on it. She loved her mask and was also a good friend of Kirstinia’s. I then painted two more masks that I added much more detail to, because I realized that I had much more time than I thought I had! I overheard someone saying the video shoot would be going on till 4 in the morning! It was about 9:30 at night at this point and the camera men were just starting to move their equipment to start shooting at the new setting by the pool. It would not be till after they shot enough times at this setting that they would move to shooting the party scene that would potentially get footage of the masks I was painting. After painting the last mask, I went to watch in awe of Kristinia and her dancers doing yet another choreographed dance to the scene by the pool and in new outfits. Kristinia was now in a feather top and red bottoms that was just beautiful on her and they were dancing on what looked like a stage on the other side of the pool. I can’t believe how many times they re-did that dance to insure that the videographers got perfect footage and that the dancers and Kristinia were all in sync. I knew the song by heart after only the first setting, at this point, we were all singing the full song and no one could sit still. We were either dancing ourselves or at least moving our head to the beat. As I stood up on the platform watching the dancers and Kristinia being filmed along with everyone else, I had the chance to meet the flame dancer that was hired for the music video. Her name was Eve Greenko, and I was mesmerized by how beautiful she moved with fire in her hands. She was twirling the fire around her body and legs and arms so effortlessly I couldn’t stop watching her. She is available for hire at other events and parties too and I am looking forward to keeping in touch with her and hopefully use her services one day! Overall I learned a lot about how music videos work and I am so grateful for the experience and the knowledge. The premier of the music video was at the Belasco Theater last Thursday on Sept 27th where everyone was able to see the final cut of the actual video. My work was displayed in numerous parts of the video and I could not be happier! I still get butterflied just thinking about it! I get excited for everyone, for Kristinia, for Spencer, for Eve and even for Julian! I wish nothing but success for Kristinia DeBarge and everyone involved in the making of her music video, Cry Wolf! 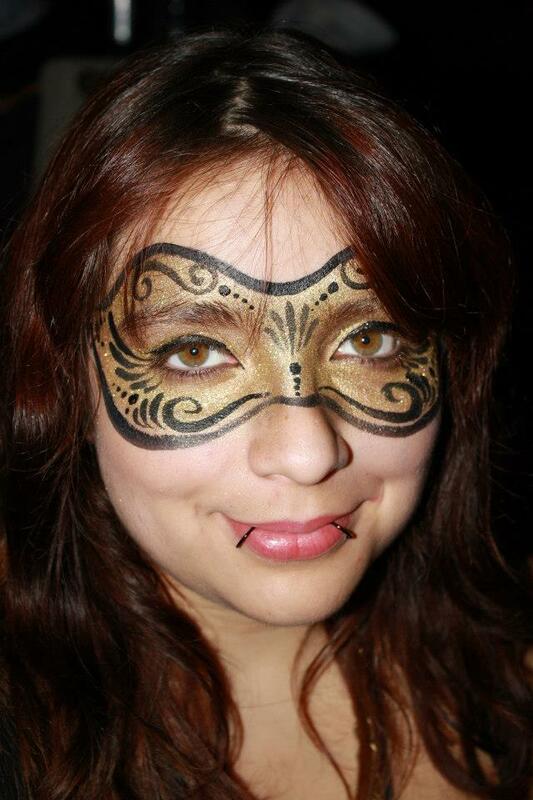 Cynnamon Simonson is a professional face painter and the owner of both Memorable Event Entertainment and Bay Area Party Entertainment serving both Southern and Northern California. 5-Star Review for Face Painting by Cynnamon, Riverside, Ca. Free Face Painting at Baskin-Robbins in Rancho Cucamonga Feb 7th 12pm-4pm! 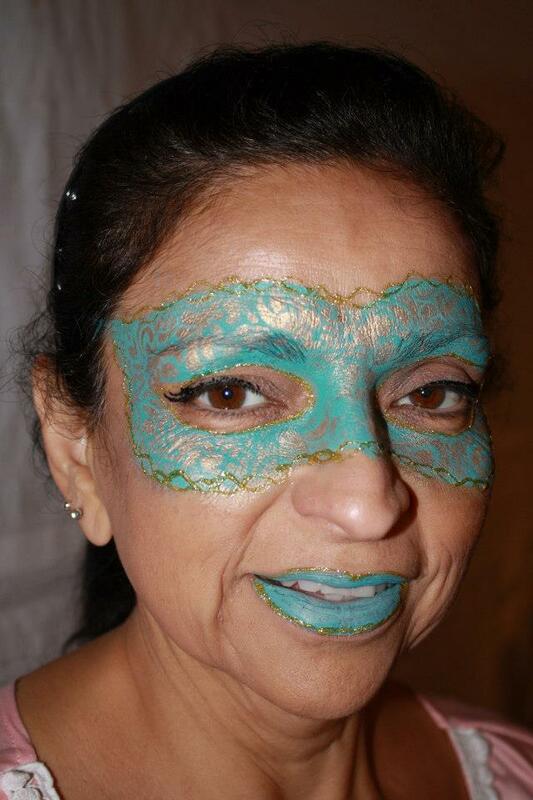 Face Painting at family holiday parties and company holiday parties!